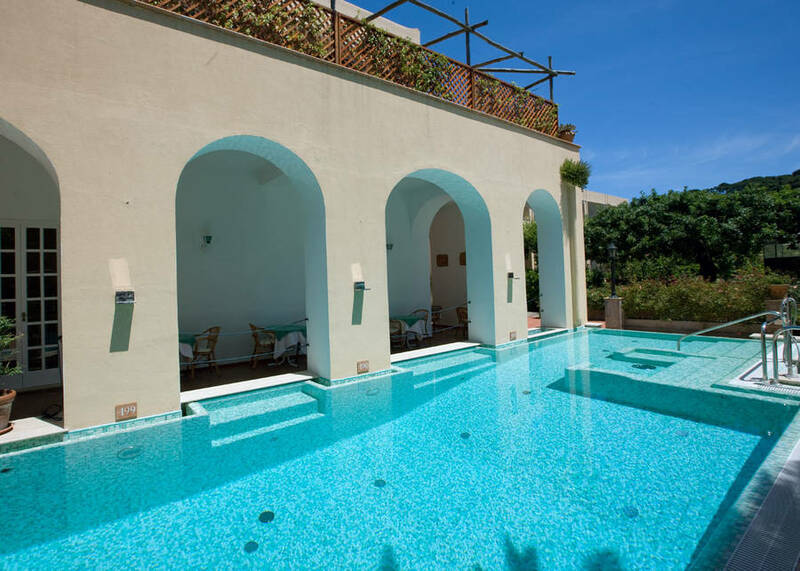 Hotel Villa Sarah is the perfect choice of hotel for all those looking for a peaceful and relaxing holiday on the island of Capri. 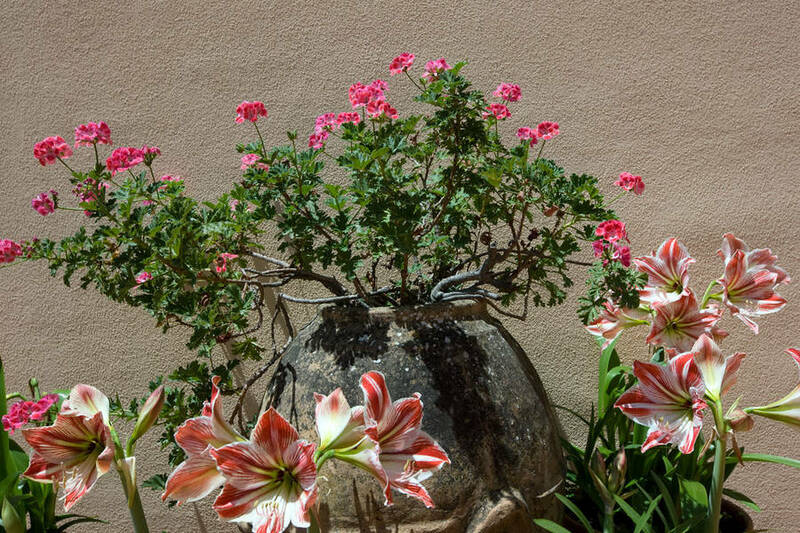 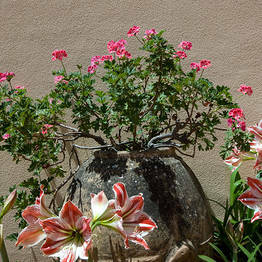 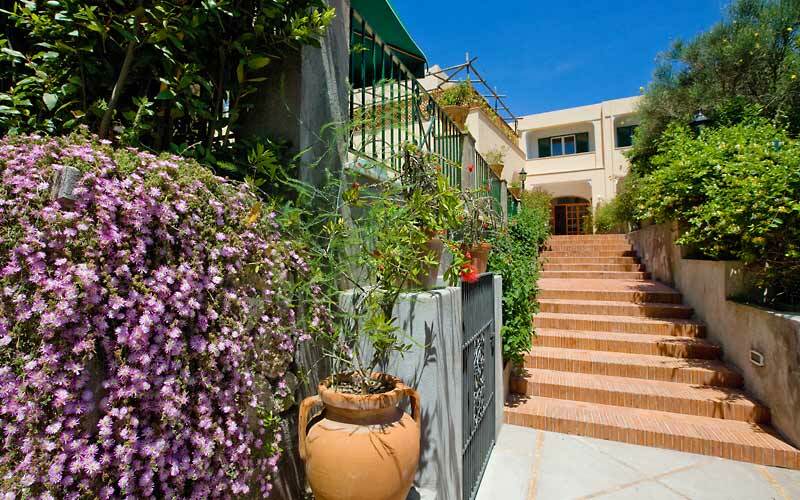 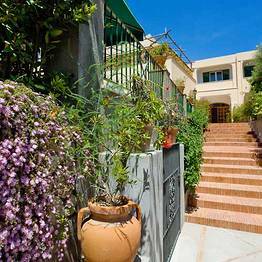 The hotel enjoys an excellent location, close to the town center, on the road leading to Villa Jovis. 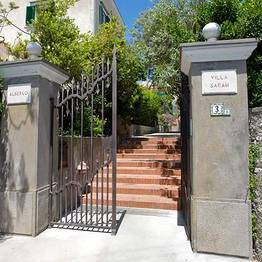 Villa Sarah offers attractive guest accommodation in twenty tastefully decorated bedrooms, all of which guaranteeing maximum comfort. 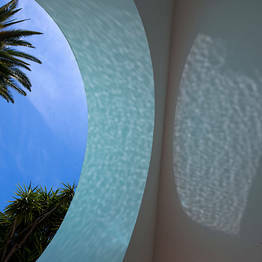 The majority of the rooms look out over the garden of the hotel. 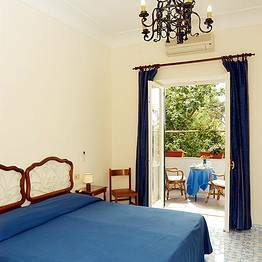 A number of bedrooms have terraces from where a glimpse of the sea of Capri can be seen. 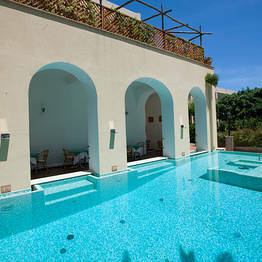 The grounds of the hotel provide a beautiful setting for Villa Sarah's swimming pool, solarium and Jacuzzi. 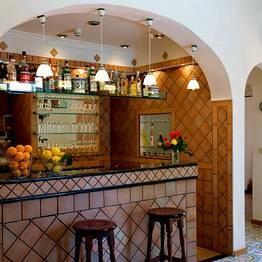 Refreshing cold drinks, cocktails, aperitifs and delicious nibbles are served at the snack bar. 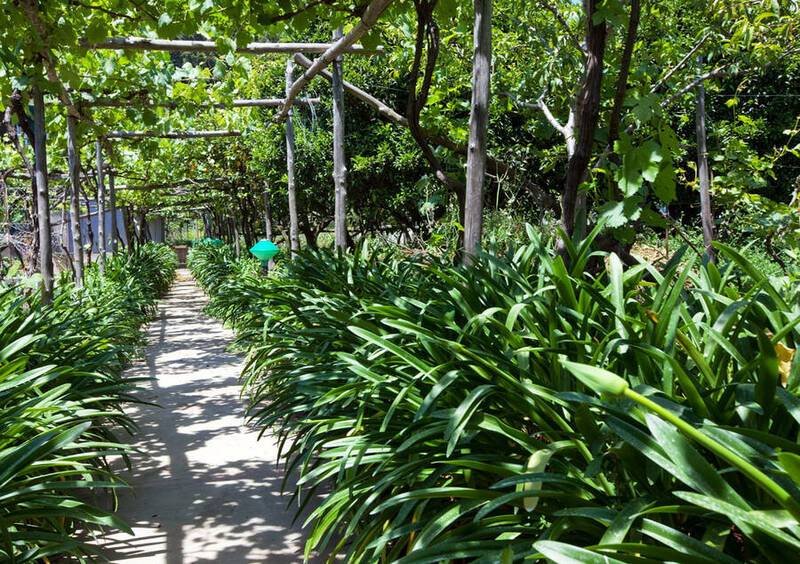 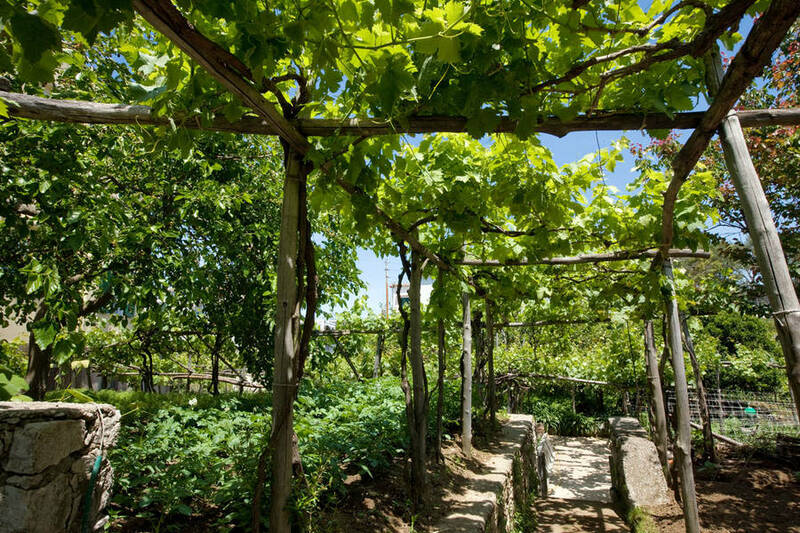 An extra bonus: the grapes cultivated in Villa Sarah's little vineyard are used to produce an extremely drinkable wine! 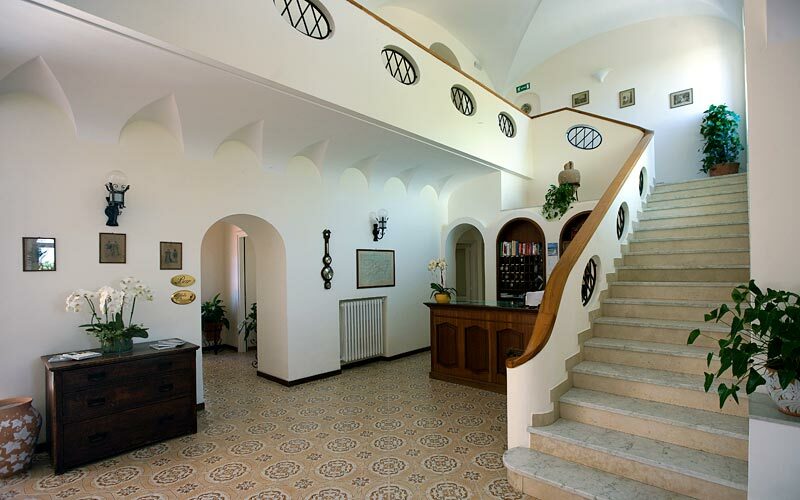 "The hotel is run by a fantastic family who will do anything they can to help guests." 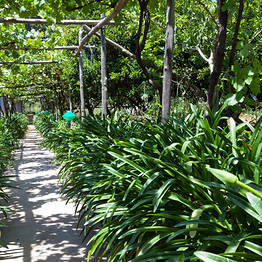 "A really peaceful hotel, far from the noise of the traffic, immersed in a relaxing atmosphere. " 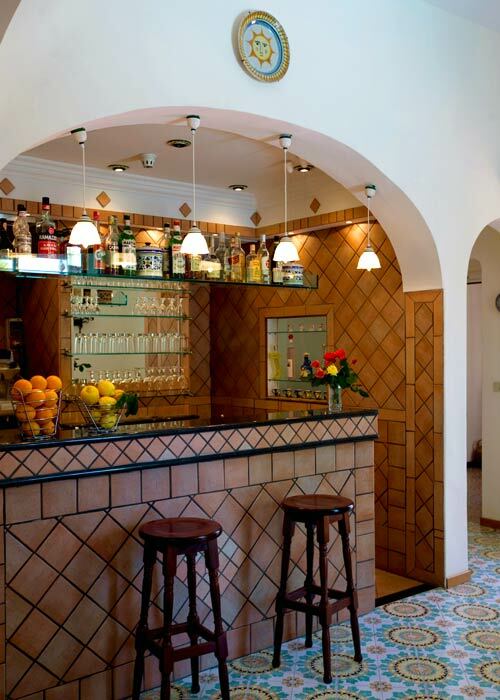 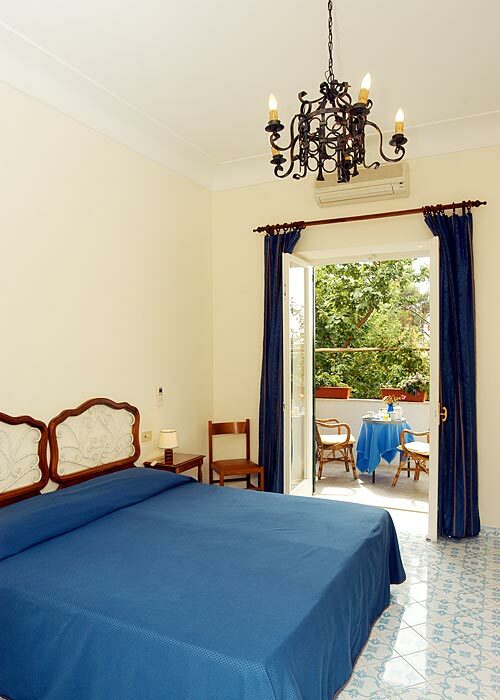 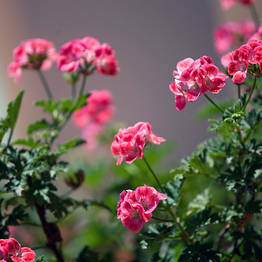 "Considering the prices on Capri, the hotel provides good rooms and a marvelous atmosphere at a very reasonable rate. " 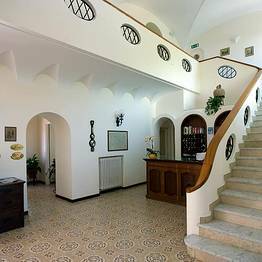 "The hotel is perfectly located if you want to visit Villa Jovis and, even though it is not right in the center, there are a number of restaurants and food stores close by." 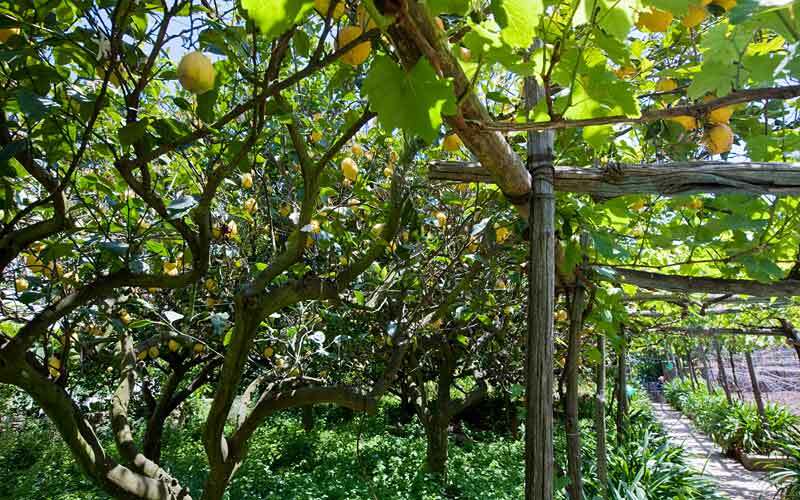 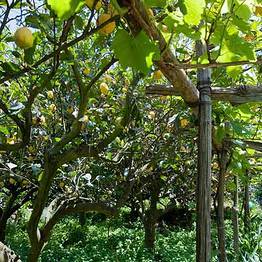 "Even if the bedrooms do not have sea views, the terraces overlooking the garden are still very pleasant. " 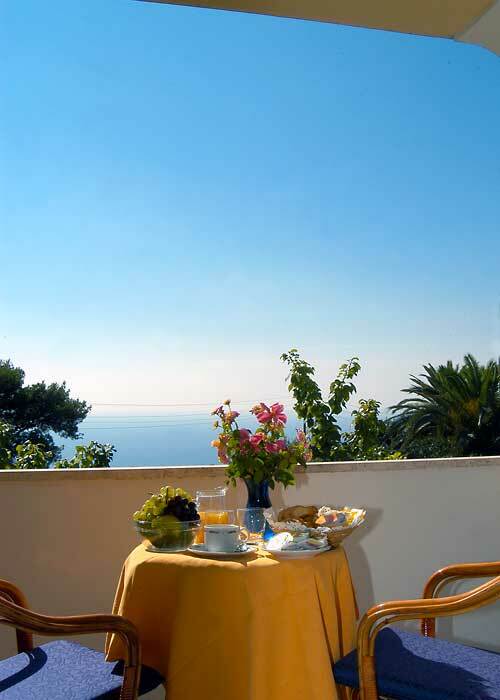 "Breakfast includes pizza and panini and eggs are available on request. " 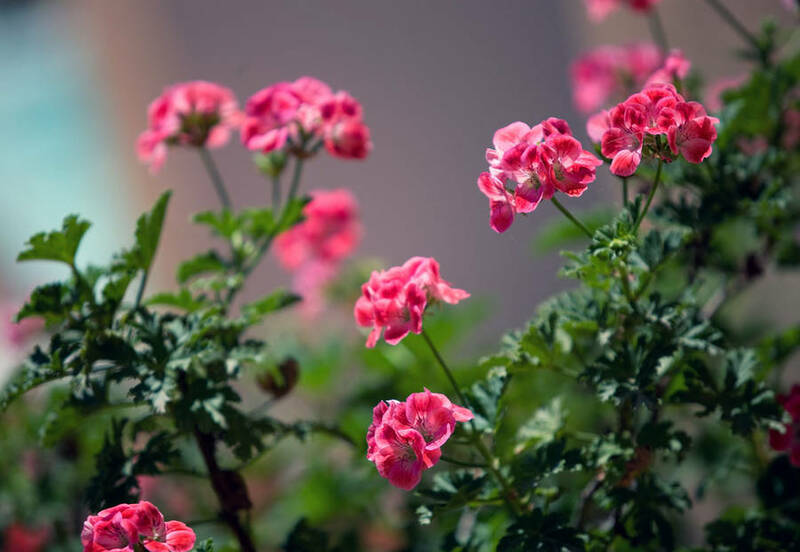 "The quality of the shower needs to be improved - I suggest a shower box and increased water pressure." 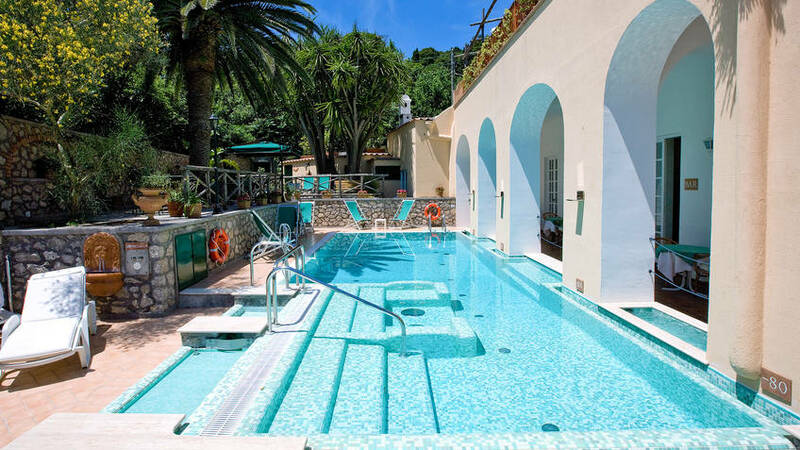 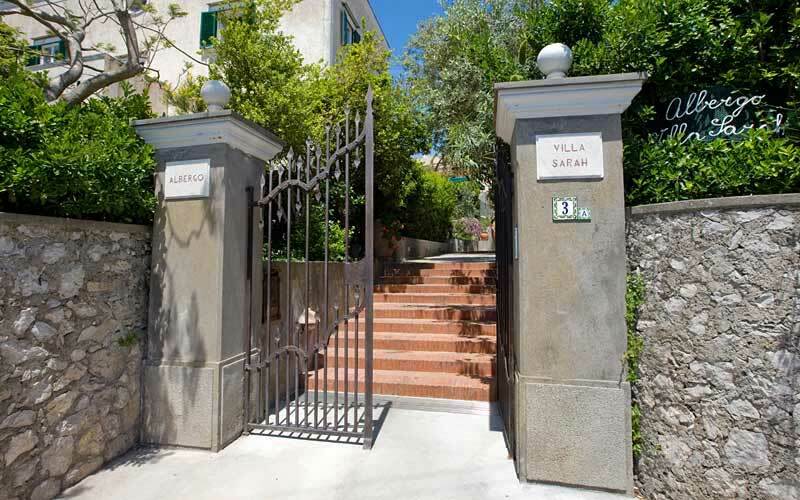 Hotel Villa Sarah is situated in a peaceful area of Capri, a mere ten minutes from the town center and the famous Piazzetta, at the end of a pleasant walk along the picturesque Via Longano and Via Tiberio. 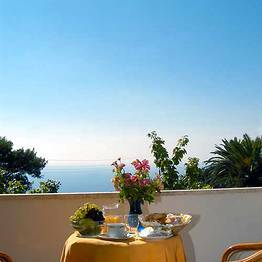 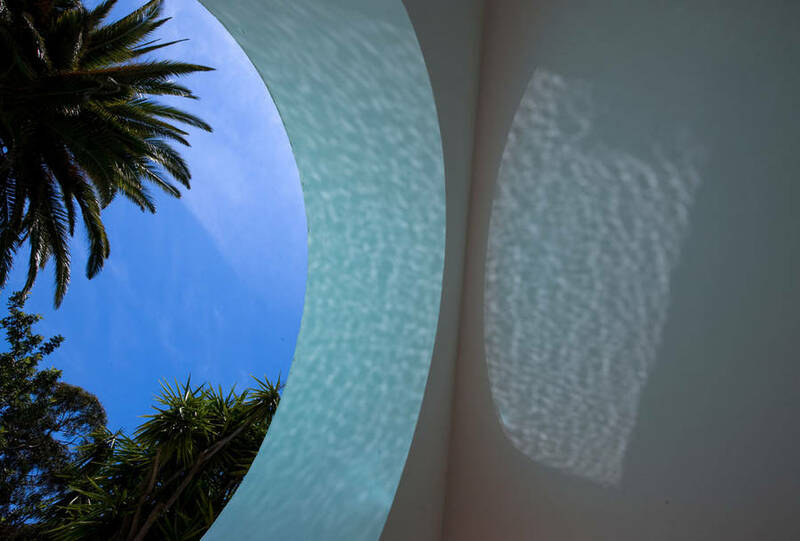 From Hotel Villa Sarah a great number of Capri's most important tourist attractions are within easy reach, including Villa Jovis, imperial villa of Tiberius, the Natural Arch, and the Pizzolungo coastal walk, leading all the way to the Faraglioni rocks.